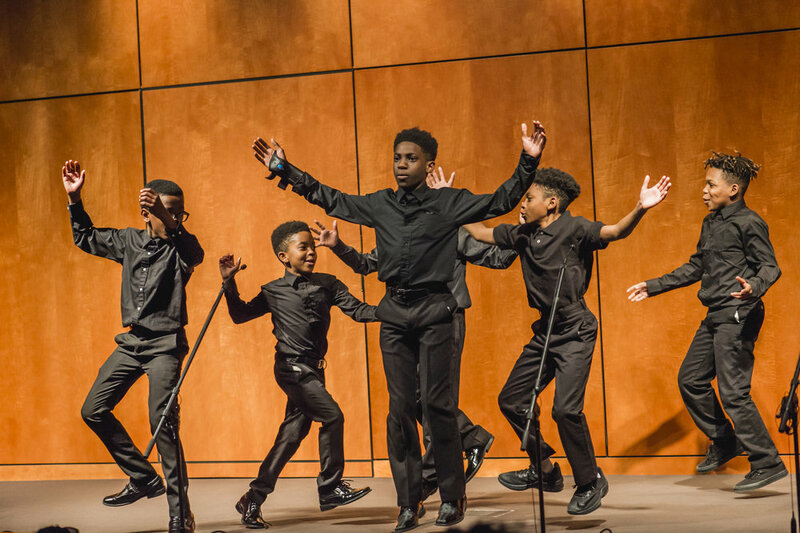 More than 300 friends, family, students, donors and community partners came to celebrate Richmond’s young people on April 10, 2018, at BGCMR LIVE!—the annual celebration of the Boys & Girls Clubs of Metro Richmond. Before the evening’s programming began, guests milled around the Virginia Museum of History & Culture and enjoyed hors d’oeuvres and refreshments, making new friends and enjoying the company of old ones. 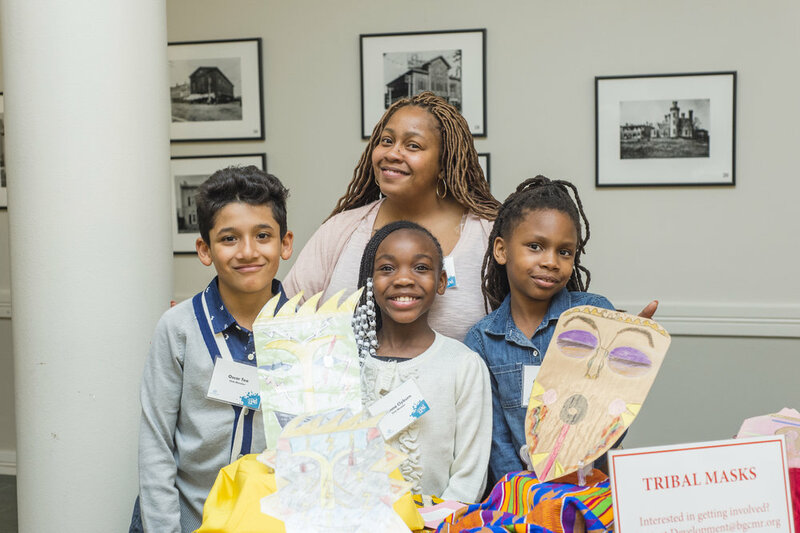 Students set up exhibits to showcase their recent creative work, including stations for handmade jewelry, tribal masks, skateboards and woodworking projects. As they confidently talked to guests about their projects, Club members spoke with evident pride and joy. In the theater, guests gathered to hear Ayjyon Depeaza, the 2018 Junior Youth of the Year from the Petersburg Club, give a cold open. Ayjyon boldly delivered his speech without notes, striding across the stage. Ayjyon Depeaza, the 2018 Junior Youth of the Year from the Petersburg Club. The evening’s program was emceed by Micah “Bam-Bamm” White, a local comedian who served as the coach and mentor for the 2018 Youth of the Year. 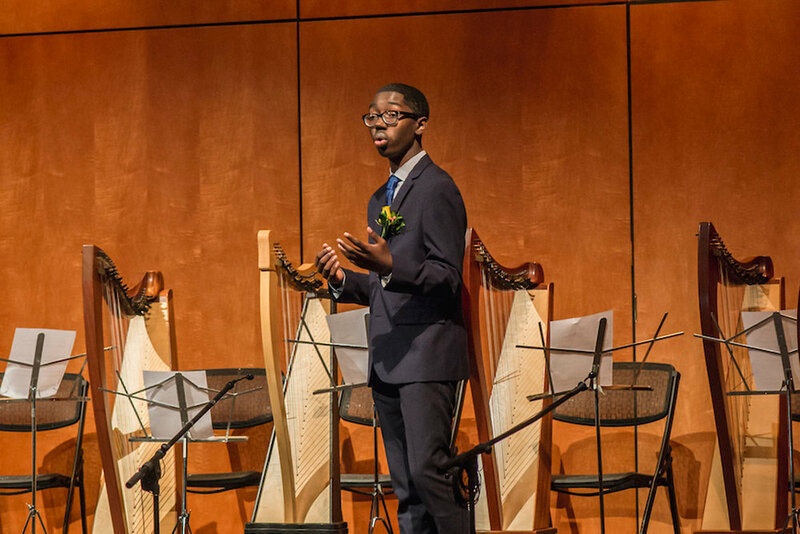 Micah’s introduction was followed by a performance from the harp ensemble, composed of members from the Northside and Southside Clubs. 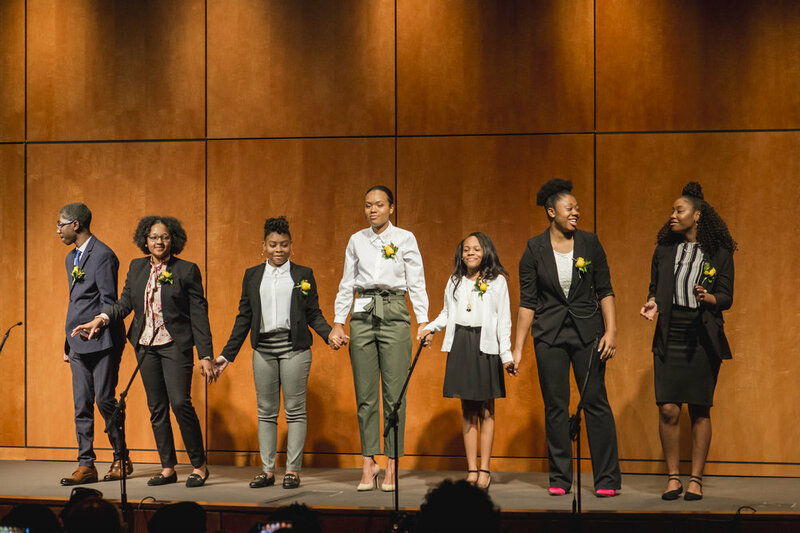 When the instructor from the HARPS Foundation came to the podium to introduce the group, she said that two young girls had volunteered backstage to give the introduction instead. Standing on their tiptoes to reach the microphone, the girls happily described the songs with dance-like gestures, and the group proceeded to play a medley of four songs on beautiful wooden harps. Desiree Wiggins, the 2018 Youth of the Year from the Petersburg Club. 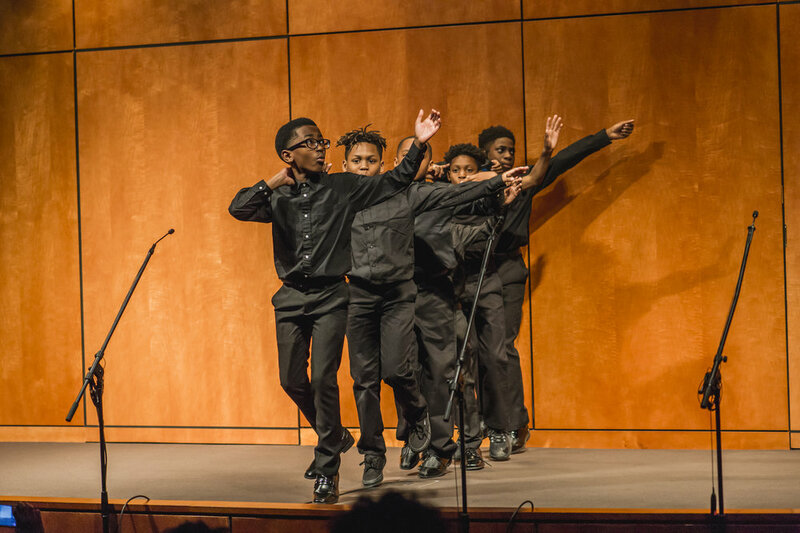 The Petersburg step team, in collaboration with Virginia State University, performed several high-energy and well-choreographed dances for the audience, concluding to raucous applause. Jasimine Scott, the 2018 Youth of the Year from the Fairfield Court Club. 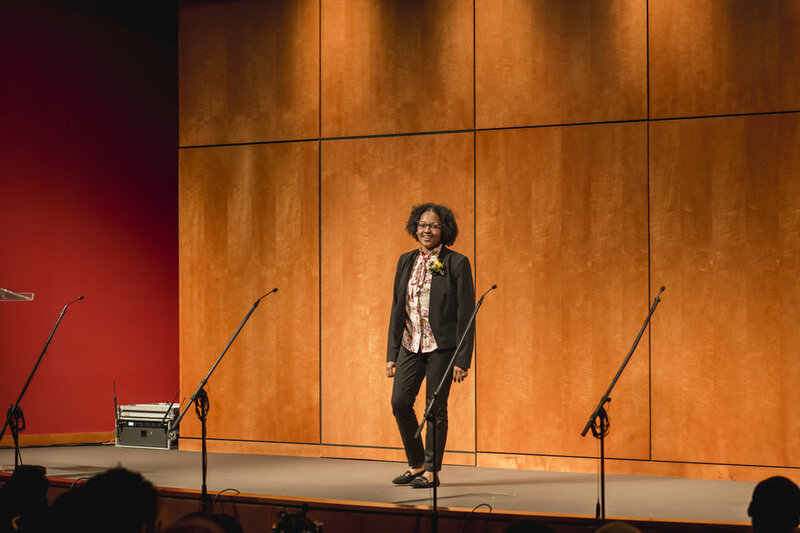 Rodesha Smith, the 2018 Youth of the Year from the Northside Club and the 2018 statewide champion for Youth of the Year, delivered a powerful speech about her personal history and her involvement at the Club. Rodesha Smith, the 2018 Youth of the Year for the Northside Club and the 2018 Youth of the Year state champion. As guests filed out of the theater, Club members and staff handed out colorful rocks that the students had painted with encouraging messages. The rocks, tokens of gratitude for a celebratory night, were intended to be hidden for someone else to find—spreading the warmth and inspiration from LIVE! out into the broader Richmond community. Thank you to our sponsors: Altria, Bon Secours, Genworth, Aetna and Lowe, Brockenbrough & Company. All photos by Jaclyn Brown.